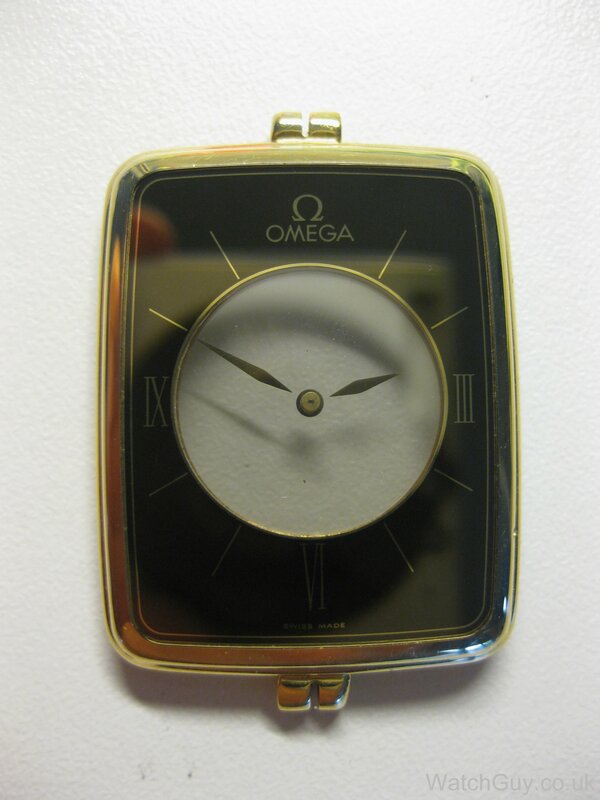 Here’s an exception, and it’s this Omega La Magique. Gary from Wales opened the watch in an attempt to change the battery, and was quite surprised to have a couple of wheels and other bits in his hand. 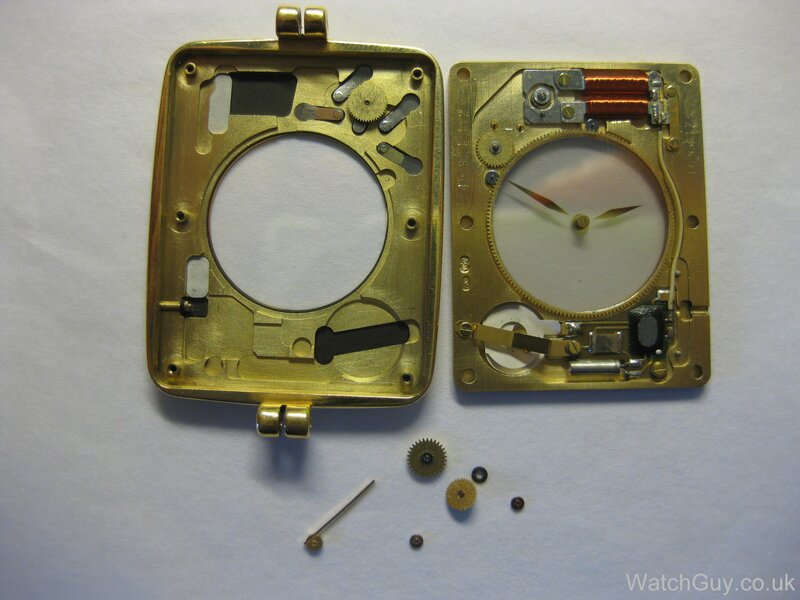 So if you are ever tempted to open one of these yourself: remove the screws, keep the watch together, support the back on a little stand, and then take the front of the watch off, keeping the back on your little support. 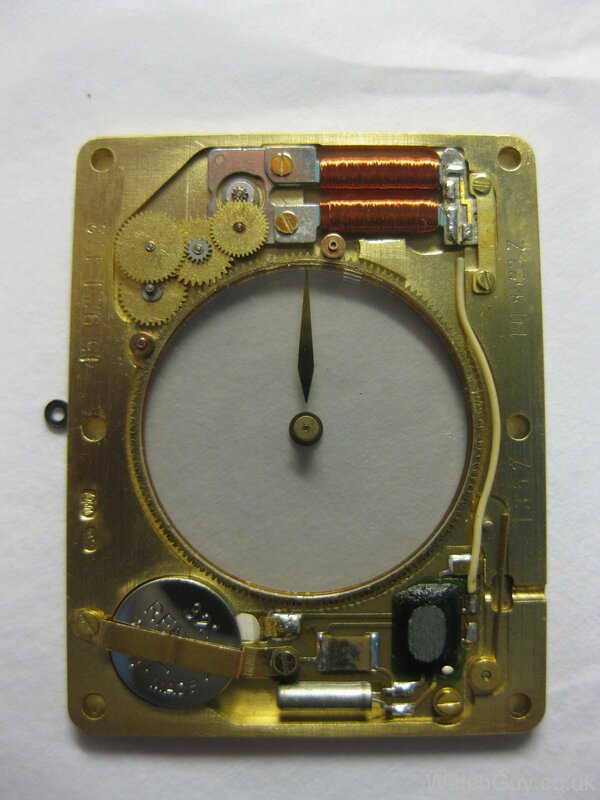 Bottom left is the battery, which, with the help of an IC (the black rectangle with the silver oval in the middle), and quartz (the silver tube at the bottom) and a resistor (the bit above the quartz), drives a step motor at the top of the watch (the two coils with the gear). 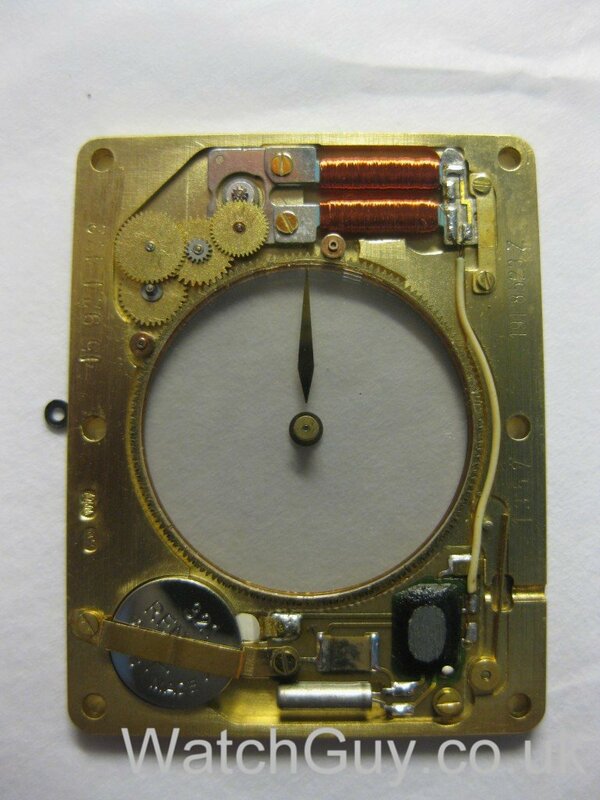 Then, with the help of a couple of wheels, the minute disk is driven, and, with a 1:12 gear ratio, the hour disk. The two round copper bits left and right of the gear train hold the glass disks in place. They are held in place by a little rubber seal (one of them on the left of the watch, one missing). Unfortunately, even with a new battery, no luck. I hook up an oscilloscope to the quartz, and I get no signal. So the IC is shot, as current arrives where it should. I can’t get hold of a new circuit board, so I’m afraid that’s it for this beautiful watch, until a donor movement comes along. 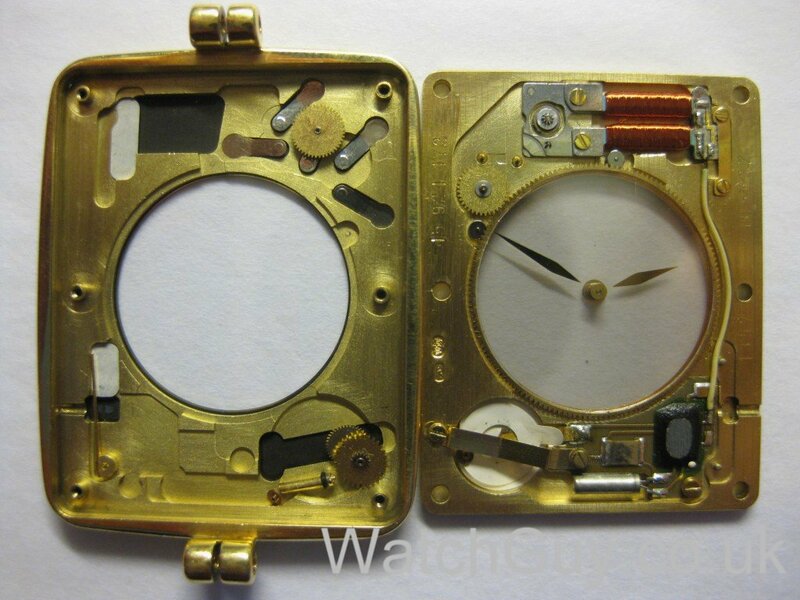 This entry was posted in Quartz, Swiss, Wrist Watches by Christian. Bookmark the permalink. I too have the same watch with the same issue. I’m unaware of how to tell which part is at fault and one of the gears looks damaged from improper battery installation (Before my ownership). It’s a shame. That is a really interesting article and useful. 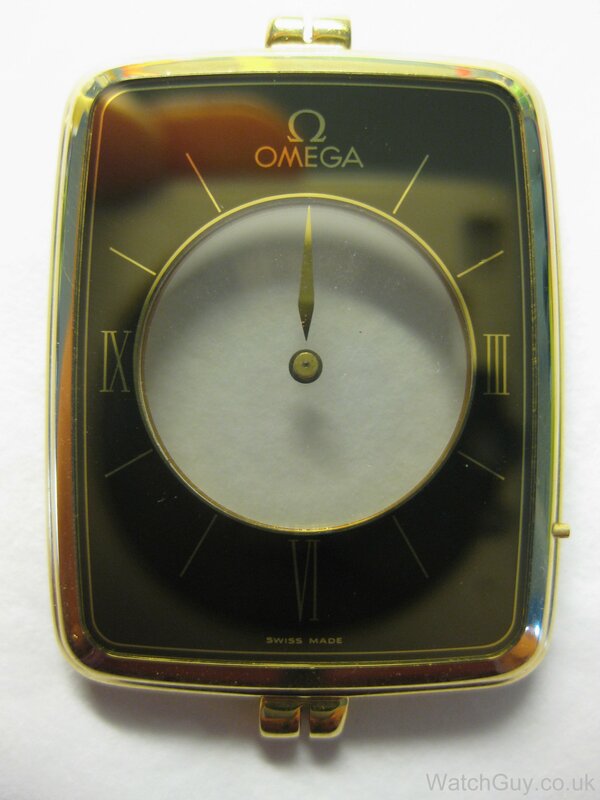 I have one of the Magique pendant watches which doesn’t work. 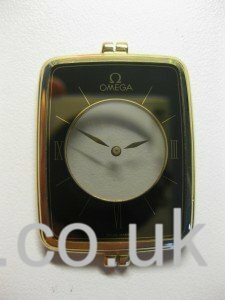 I have sent it to Omega for a price for a new battery and was quoted £1350. I was – until I read your article at the point of scrapping it as the gold is 18k and the weight substantial. I may attempt to change the battery myself and have a look at the inside, but before I do that would you or anyone you know be able to change the battery? No problem at all changing the battery. Contact me by email and we can take it from there. He tomado prestado una foto tuya para ilustrar un articulo de mi blog. si bien Cito la fuente, si quieres que la remueva solo dilo. Si en algo puedo servirte estoy a tus ordenes. No problem if you want to use the photo. It could be a faulty crystal. It’s well worth a try anyway…32.768KHz.